Shirley Mae Nelson Reedy was born to Roy and Bernette (Beer) Nelson on October 28, 1927 in Edwardsville, IL and she passed away peacefully in her sleep in Chandler, AZ on June 7, 2018. Shirley grew up in Austin, MN and graduated from Austin High School in 1945. She attended Mankato State Teachers’ College where she graduated with honors with her two-year teaching degree. She took her first job in Windom, MN as a Kindergarten teacher. While she was attending an event at the Catholic Newman Center on campus, she met her future husband, Daniel Patrick Reedy, who was also studying to become a teacher. Dan and Shirley were married at St. Frances Xavier Catholic Church in Windom, MN on August 12, 1950. Dan and Shirley moved to Wessington Springs, SD for their teaching jobs and where they started their family. They moved to Slayton, MN in 1953 and continued growing their family to six children. In 1968, Shirley helped organize a day program for the mentally and physically handicapped children and adults of Murray County and later worked as the director of what is now known as the Developmental Achievement Center or D.A.C. until her retirement in 1986. She cherished her time making a difference in the lives of those she worked with, both coworkers and participants. 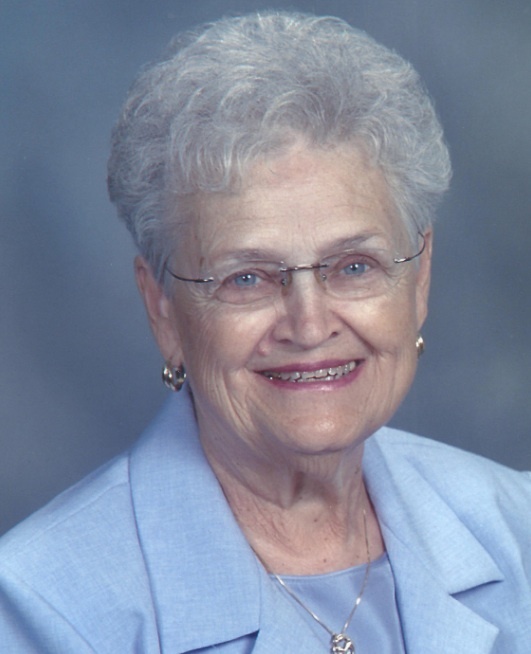 Shirley was an active member of her churches she attended in the different cities she lived in. She was currently a member of the Catholic Daughters of America. Dan and Shirley enjoyed their winters in Arizona during retirement, making it their permanent home in 2000. Dan passed away in 2001 and Shirley moved to Sunbird Retirement Park in Chandler, AZ where she enjoyed many friendships and social occasions, usually cooking, baking and entertaining in her home. Anyone lucky enough to be in her presence was blessed indeed! In 2012, Shirley moved to the Village at Ocotillo Assisted Living home where she resided until her death. She loved the many activities, Bingo, musical entertainment and especially weekly Happy Hours and holiday parties. Faith and family were always her top priorities in life, even up to the moment of her death and beyond. Shirley loved spending time with her friends and family, especially the children. She loved the babies! Her other interests included puzzles, playing cards and games, crafting, cooking and baking, gardening, and shopping for bargains. One of the most favorite things Shirley will be remembered for by her children, grandchildren and great-grandchildren are her cut-out Christmas cookies with lots of frosting and sprinkles. Missing her, but forever grateful for her love are her six children: Mary Beth and Tally Olson, Casa Grande, AZ; Dr. Daniel and Jean Reedy, Emmetsburg, IA; Patrick and Doreen Reedy, St. Paul, MN; Dr. William Reedy and Teri Carter, Mesa, AZ; Kathleen (Kate) and Rodney Bernat, Phoenix, AZ; Kevin Reedy and Dawn Rankin, Casa Grande, AZ; and daughter-in-law, Vicki Sieve, New Ulm, MN. She is also survived by her grandchildren: Chantelle and Kyle; Ryan, Paul, BrieAnn, Daniel, and Erin; Meghan and Liz; Regina, Jordan and Craig; Johnathon and Jarod and Josh. She is also survived by her great-grandchildren: Luke, Trent, Cade, Walter, Winston, Harrison, Harvey, Alayna, Gianna, Isabella, Janey Lynn, Kynlee, Layla, Benjamin, Derrick, Devon, Carter, Everett, Emma and Aidyn. Shirley is survived by her brother, Dale and Janet Nelson, Wilmington, NC; her sister-in-law, Gaye and Tom Rossi, Napa, CA; her sister-in-law, Addy Nelson Denton, TX, as well as many beloved nieces and nephews. She is also survived by special friends Rosemary DePauw, Woodbury, MN and Geri DeJohn, Chandler, AZ. Shirley is preceded in death by her loving mother, her father, her sister, Marjorie and Hal Huntington, brother Roger and brother Roy, special aunt and uncle, Mae and Bill Dellahanty; her husband, Daniel, her granddaughter, Sarah Katherine and all her family and friends who have gone before her and welcomed her home on June 7th, 2018. The pallbearers are Dr. Daniel Reedy, Patrick Reedy, Dr. William Reedy, Kevin Reedy, Tally Olson, and Rodney Bernat. Join us in celebrating her beautiful life Friday, June 15, 2018 from 4-7pm for a visitation with a CDA Rosary at 4:30p.m. at the Totzke Funeral Home, Slayton, MN and a funeral Mass at St. Ann’s Catholic Church, Slayton, MN Saturday, June 16, 2018 at 10:30am with a viewing one hour prior. A luncheon will follow in the church hall and burial will be at St. Frances Xavier Catholic Cemetery, Windom, MN following the luncheon. In lieu of flowers, the family requests donations go to the Murray County Developmental Achievement Center, 2225 28th St. Slayton, MN 56172 or the Slayton Catholic Daughters of America, 2747 29th St. Slayton, MN 56172.